COLLEGE PARK, Maryland, June 10, 2017 (ENS) – The Atlantic Ocean and Caribbean Sea could experience another above-normal hurricane season this year, according to forecasters at NOAA’s Climate Prediction Center in College Park. Last year produced five storms that touched land, including Matthew, one of the deadliest Atlantic hurricanes on record. Matthew caused $10 billion in damage and killed 34 people in the United States and 551 in the Caribbean. Forecasters predict a 70 percent likelihood of 11 to 17 named storms (winds of 39 mph or higher), of which five to nine could become hurricanes (winds of 74 mph or higher), including two to four major hurricanes (Category 3, 4 or 5; winds of 111 mph or higher). The National Oceanic and Atmosphereic Administration, NOAA, is under the leadership of U.S. Secretary of Commerce Wilbur Ross. Secretary Ross said that GOES-16, the most advanced weather satellite NOAA has ever developed, will be moved to the GOES-East position at 75 degrees west longitude, after it is declared operational in November. Top officials from NOAA announced the long-awaited GOES-16 decision at the 2017 Atlantic Hurricane Season Outlook news conference in College Park late last month. Even before its final positioning, the sophisticated camera on NOAA’s new GOES-16 satellite will give hurricane forecasters a sneak peek at its greater image resolution, sharp detail and rapid-refresh rate. One of the powerful instruments aboard GOES-16, the lightning mapper, will allow forecasters to see lightning strikes that build within tropical cyclones – a possible signal of strengthening, NOAA says. The combination of two high-resolution hurricane models will improve forecast guidance for the National Hurricane Center this season. The upgraded Hurricane Weather Research Forecast model adds better representation of storms at higher vertical resolution, and has advanced data assimilation and improved physics. With these upgrades, the model can improve intensity forecasts by as much as 10 percent and track forecasts by as much as seven percent. NOAA’s Environmental Modeling Center also is replacing the Geophysical Fluid Dynamics Laboratory Hurricane Model with a new hurricane model called HMON, for Hurricanes in a Multi-Scale Ocean-Coupled Non-Hydrostatic, which has superior track and intensity forecast skill. “The outlook reflects our expectation of a weak or non-existent El Nino, near- or above-average sea-surface temperatures across the tropical Atlantic Ocean and Caribbean Sea, and average or weaker-than-average vertical wind shear in that same region,” said Dr. Gerry Bell, lead seasonal hurricane forecaster with NOAA’s Climate Prediction Center. 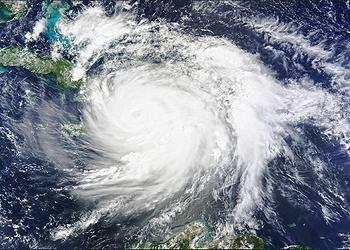 Also, warmer sea surface temperatures tend to fuel hurricanes as they move across the ocean. However, the climate models are showing considerable uncertainty, which is reflected in the comparable probabilities for an above-normal and near-normal season. “Regardless of how many storms develop this year, it only takes one to disrupt our lives,” said Acting FEMA Administrator Robert J. Fenton, Jr. “Get ready now with these easy, low-cost steps that will leave you better prepared and will make all the difference.